Today’s post is by my husband G who did a great job making a beautiful, delicious, healthful (uh, yes, I think it is – at least relatively speaking!) birthday cake for me recently. My wife’s birthday always falls near – and sometimes on – Mother’s Day. This often makes for a fun and enjoyable weekend as we celebrate both events, but it can also be kind of hectic as the boys and I shop for gifts and attempt to divvy them up appropriately and in secret. And I have to admit it…it WAS easy. And it DID have avocado in the chocolate frosting. 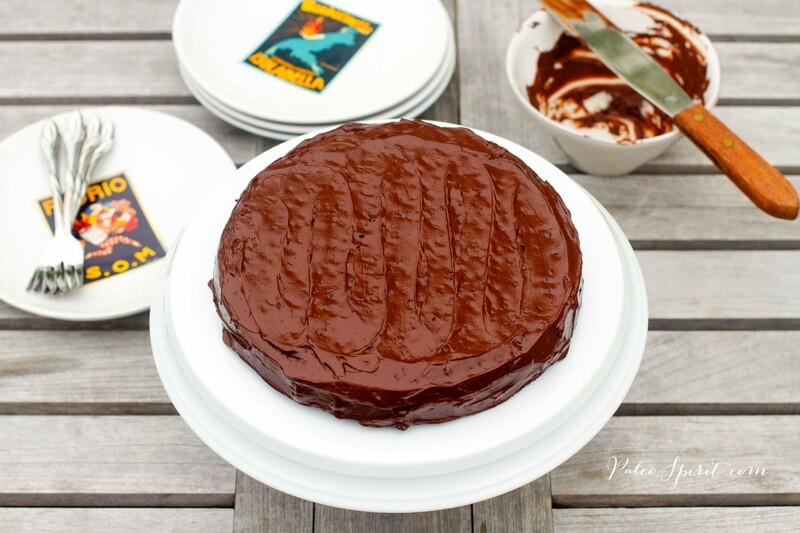 An avocado chocolate frosting. And it WAS delicious! 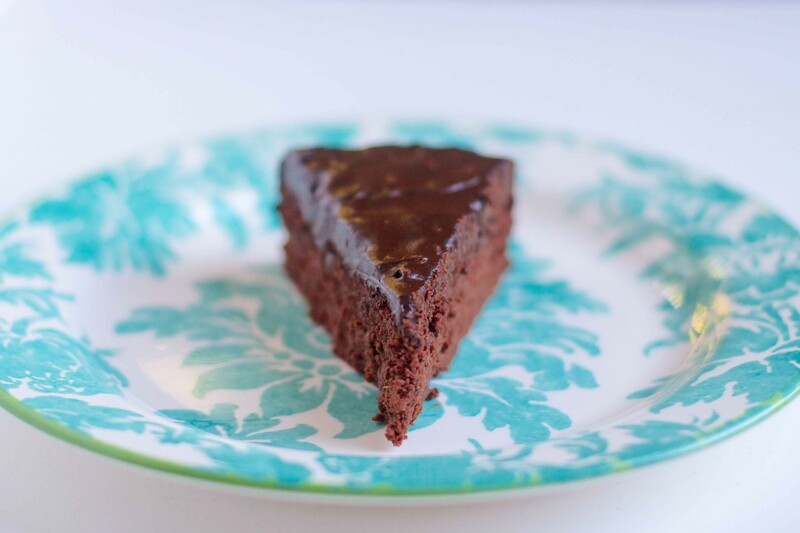 We’ve had this cake (Chocolate Paleo Snack Cake) before, but it’s the first time I’ve actually made it myself. Now, I’m fairly competent in the kitchen so I wasn’t wary of the task…but I was a tad skeptical when my wife told me that avocado was a primary ingredient in the frosting. Isn’t that for guacamole? I mean, I love guacamole but this is chocolate frosting! Well, what it all comes down to is trust, and I trust my wife. After all, she’s like the Professor on Gilligan’s Island – she can make ANYTHING with coconut! – so I had to give her the benefit of the doubt. Not only is this frosting really tasty, but it doesn’t taste anything like avocado! 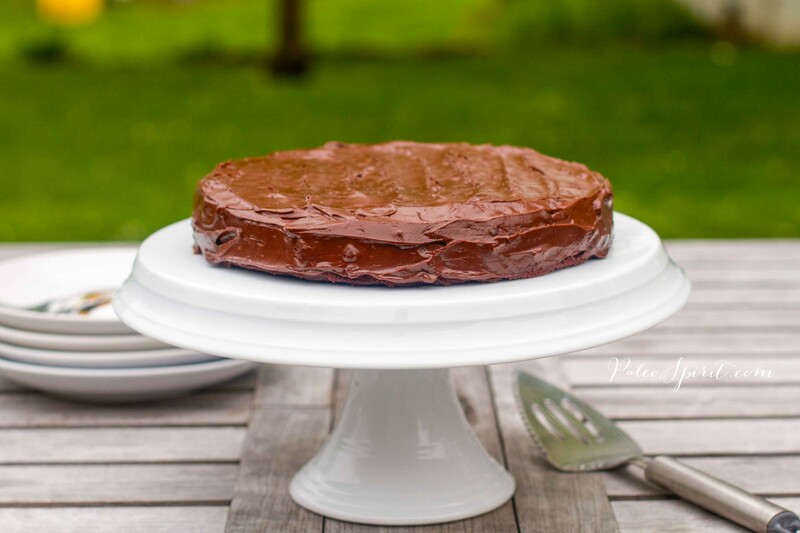 It tastes exactly how it’s supposed to taste – like rich, creamy chocolate cake frosting. In fact, when you serve it to your friends don’t tell them it’s made with avocado until after they eat a piece! Just enjoy their surprised expressions. Makes enough frosting for one single layer cake. Place all three ingredients in a food processor and mix together, stopping to scrape down the sides once or twice. Stir in the chocolate chips (if using). The frosting is ready to spread immediately but you can refrigerate if you think it needs to firm up. Thanks to Urban Cottage for use of the cake stand! Sign up to get new posts in your email inbox. Enter your email address below then be sure to confirm your subscription. If you do not receive the confirmation email, check your spam folder. 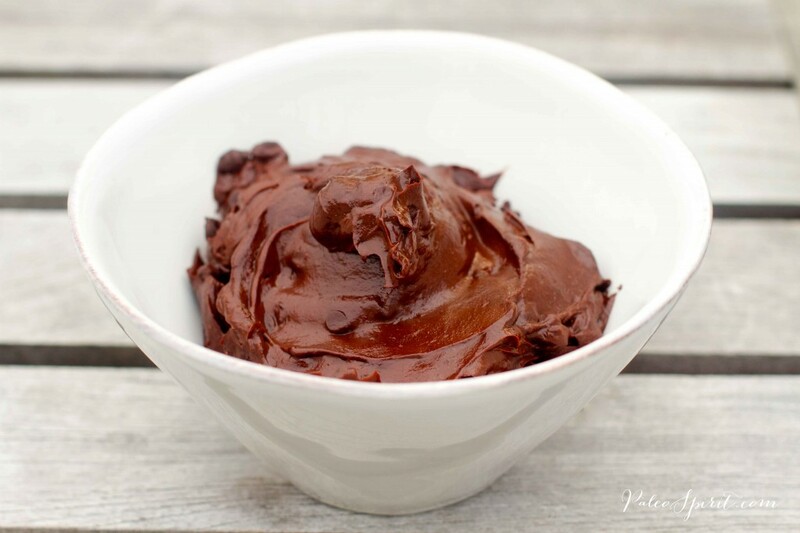 60 Responses to "Avocado Chocolate Frosting (Paleo and Vegan)"
This looks awesome and it’s perfect timing my brother’s graduation party this weekend! Should the leftovers be kept refrigerated due to the avocado in the frosting? Thank you. We didn’t refrigerate it but then again the cake did not last too long. If the cake will sit around for more than a day I think you should refrigerate it. And if you are in a warm environment you might be better off with it in the fridge. This has me drooling at my desk right now!!! I HAVE GOT TO TRY THIS! Love your blog, btw. That looks awesome!! My problem is figuring out when an avocado is perfectly ripe. It can be tricky to time it just right. I usually buy them firm and leave them on the counter a day or so until there is some give to them. If you can remove the little remnant of stem on the top of the avocado and it is a light color underneath then the avocado is probably just right. If it is brownish then it is most likely too ripe. I find that you can prolong the just right period for avocado by putting it in the fridge once it gets to that point. Since they are tough to purchase in advance and age to that just right point this makes it a much easier task since some ripen faster than others. Yummy! I used half the maple syrup and half stevia liquid. I also added some sea salt and 2 tablespoons coconut oil…super thick and creamy AND delicious, reminds me of my avocado fudge sickles we make all through the summer! I tried to keep it as simple as possible. But I think your additions would really optimize the recipe. Next time I make this I’m going to try it your way! I like the idea of maple syrup instead of honey. Looks delicious! Maybe my english isn’t good enough – but the chocolate chips – shouldn’t I melt them? 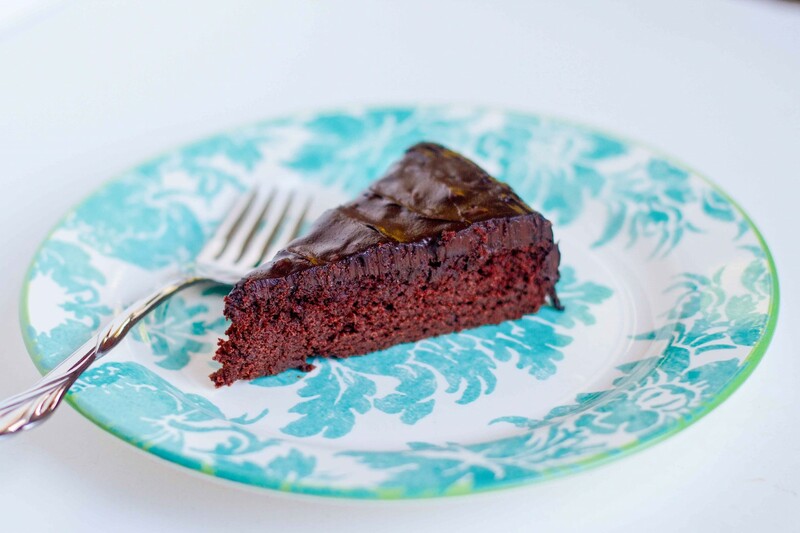 The frosting gets most of its chocolate flavor from the cocoa powder. The mini chips are just an optional addition to the frosting -not to be melted. I’m new to Paleo-land, and if this frosting is any indication, I’m going to want to stay awhile. 🙂 Thanks for sharing — my sweet-toothed family votes two thumbs up. Just made this to top cupcakes and it’s DELICIOUS. Not to mention a contender for Easiest Frosting Ever. I made this frosting, added about a half a cup of powdered sugar, and then stuck it in the fridge. It piped beautifully on vegan chocolate cupcakes with coconut cream inside. Yum! This looks so yummy! I have some avocados that are ready now. Do you think it would keep for two days in the refrigerator before my son’s birthday party this weekend? I think so. If you make it now while they are ripe I think it will be fine for a couple of days. That is the tricky thing about this recipe – the timing of it to coincide with the perfectly ripe avocado. Happy birthday to your son! I made this for my BF’s bday, along with a vegan cake. I did 1/4C honey and 1/c maple syrup and added a pinch of salt…so good I had to leave the kitchen while waiting for my cake to finish baking!! The consistency is amazingly smooth!! I absolutely LOVE LOVE LOVE this frosting! It is soooooo rich and amazing! My question is how long do you think it would last in the fridge once made? I live by myself and so when i make a cake or cupcakes it may take a whole week to get through them (if I have good self control!). 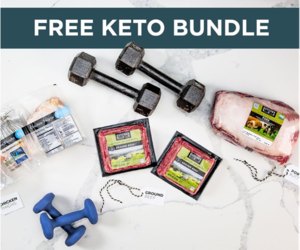 I’m new to paleo and just a little lost with how long things will last without all those nasty preservatives! THanks Steph! The information I have been able to find about avocado indicates it keeps about 1-2 days in the fridge. Of course, I think part of that short timeframe is because avocado, especially in the form of guacamole, turns brown. If it turns brown in this frosting we don’t really care because we can’t see it. So I kind of think it would last longer. But I wouldn’t go more than 3 days. I have made it and frozen the frosting. It should last 3-4 months frozen. I hope that helps. What kind/brand of maple syrup do you use and can I use something besides maple syrup? not crazy about it. thanks! I use pure maple syrup. You could substitute honey – just might need to thin it out a bit. You could use agave even though it’s not the best thing from a nutrition perspective. Unreal. I realised the ratio of ingredients gotta be followed. I was just whinging it, and the avocado taste can stand out if not balanced correctly with cocoa and maple syrup. 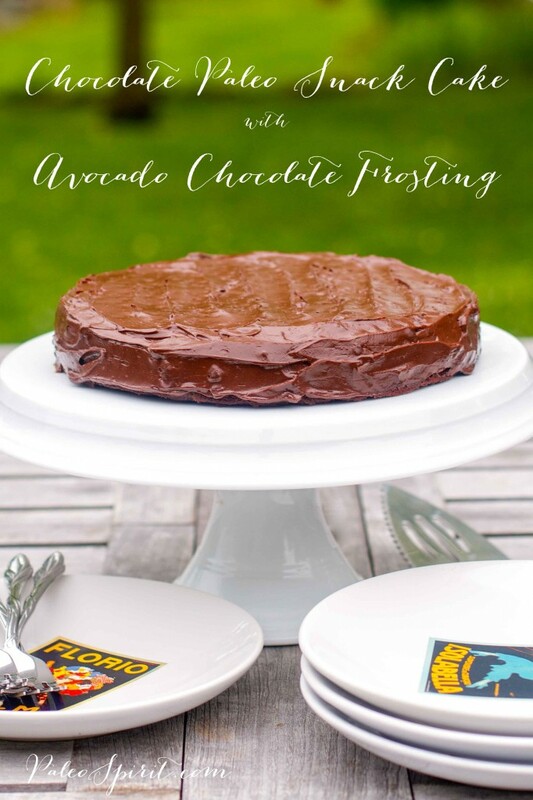 Made your chocolate cake with this frosting tonight and my boyfriend and I both agree… it was FAN-flipping-tastic! 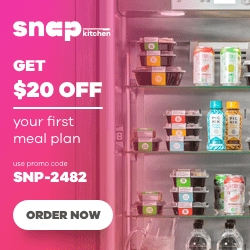 🙂 Looking forward to trying SO many more of your recipes! Can the maple syrup be replaced with agave nectar? Sure. I’m not a big fan of agave but I think it would be equivalent to maple syrup for this recipe in terms of sweetness and amount of liquid. 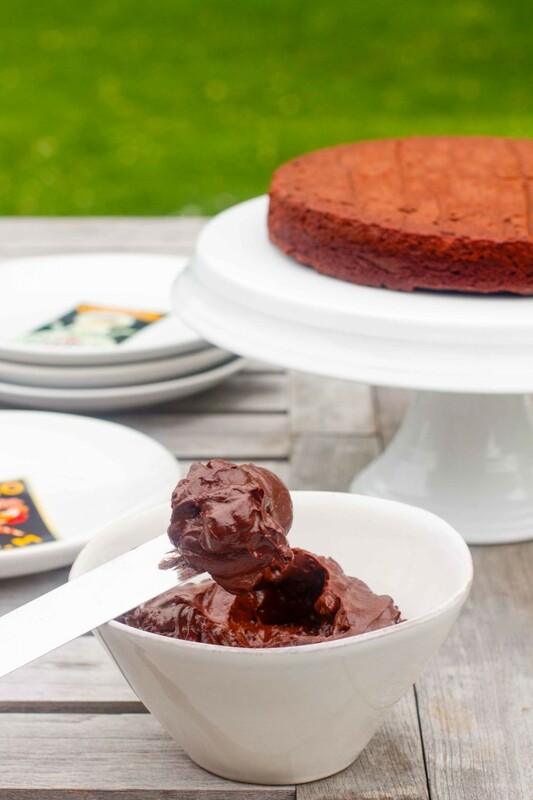 Will definitely have to give this a try, both my kids have bad dairy allergies but love chocolate flavor in things, and always thought id never be able to see them enjoy a proper gooey Chocolate Cake. Thanks. I will be trying this frosting on my daughter’s first birthday cake :). She has a dairy sensitivity and this recipe sounds great! My grandmother that loves pastry and eats horrible stuff (Little Debbie, twinkies, dunkin donuts) said this frosting was wonderful! I was shocked! I told her it was made with avocado and she didn’t believe me!!! lol My husband liked it too and he doesn’t like coconut oil. Of course my 7 year old and 4 year old loved it too. My daughter (7) said it was the best birthday cake she’s ever had! Definitely a winner!!!!! I’m visiting my mother this week and read your comment out loud to her and she and I both had a giggle over the story of your grandmother. lol I’m glad she liked and it and that you totally rocked her world with the news about avocado in the frosting. Thanks for the comment and I’m happy to hear the kids like the cake too. This has become a favorite in my house! My newly 6 year old just requested it for his birthday! 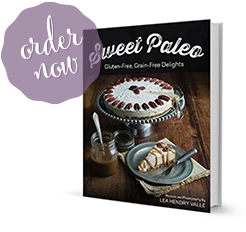 Thank you for your yummy paleo treats! 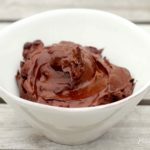 Can I use cacao powder in place of cocoa powder ? Yes. I think that would be fine. Fantastic. Skipped the cake and are the frosting shmeared on apple slices. It’s at least as good as Nutella, without the nuts! I think it should be fine for an event – just keep it refrigerated other times. I am planning on trying the recipe, but had a question in terms of subbing an ingredient. Can honey be used instead of maple syrup? Thank you; it looks great. I think honey would be fine. It’s just thicker than maple syrup so you may have to account for that. I just made the recipe using honey instead of maple syrup and it turned out great! This is an amazing frosting. I used cacao powder, avocado, and stevia blend sweetener. My new go to recipe for frosting. And great on a keto diet! Can you substitute banana for the avocado? I doubt it. I think the recipe needs the fat content of the avocado to perform in the same way. 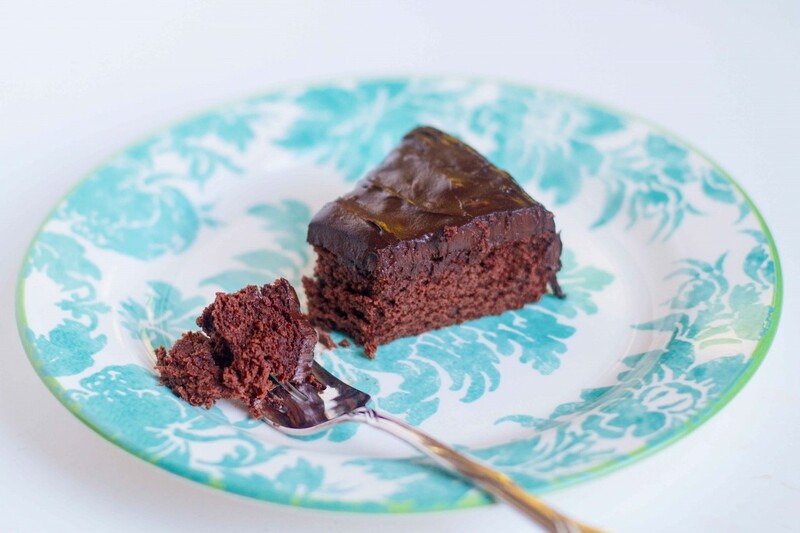 But chocolate and banana is pretty delicious so it might be a nice sauce on cake – just very different from a typical frosting. This sounds so delicious! Can you add my email to your subscription please. OMG best frosting ever! I decided to make some gluten-free yellow cupcakes with chocolate frosting and decided to try this one since I’m also dairy-free; I used honey instead of maple syrup, added a little vanilla and used cacao nibs instead of chocolate chips and it was unbelievable! Shared some of the cupcakes with the neighbors and they went crazy over how good the frosting was! Woo hoo, yes! So glad you liked the frosting, Erica. I used to be dairy-free as a preference and now I have to be for a health condition. So I’m trying all the dairy-free recipes again lately. Thank you for taking the time to comment. Good luck! I hope you like it. Glad you like it and I appreciate the info on how it works with carob. I’ve never tried that in this recipe.